All of our ships are Wi-Fi enabled so you can access the internet on your own devices or via our PC terminals in the Library. 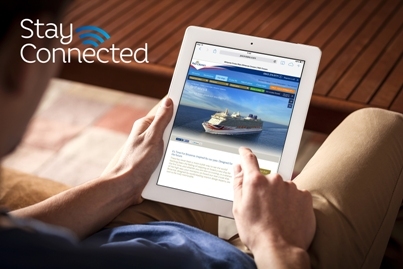 Satellite internet packages are available to purchase pre cruise or once on board. Pay As You Go is available to purchase once on board. You can also use your roaming partner - when near shore - or the Telenor Maritime network - when at sea. Charges for these connections will be added to your mobile bill rather than your on-board account. Please contact your normal service provider for data allowance and costs. The Browse Package - browse as you would usually (with the exception of video streaming), plus email and social networks. £10 per 24 hours with a full Cruise Plan. £12.50 for a single 24 hour period. (web browsing, email, internet messaging, social media). Additional savings can be made on The Browse Package when purchased pre cruise – see ‘How to purchase Satellite Internet’ below for further details. The Works - stream YouTube, Spotify and Apple Music, video call, browse, email, and share via social networks. £20 per 24 hours with a full Cruise Plan. £24.95 for a single 24 hour period. With our packages, you can upgrade any time you like. If you try to use a service from an alternative package, a prompt will appear to point you in the right direction. Then, it’s just a few clicks to upgrade, and you’re away. You can purchase per 24 hours, for your full cruise or on a remainder of cruise basis. There is no activation fee. On-board, there are two ways to buy a satellite internet package. Open a browser on your device, log on to the ship’s Wi-Fi and type ‘login.com’ into your browser. Alternatively, pop along to the Library; a good option if you need a little help. You can use your satellite internet package on any device, but not simultaneously on multiple devices. It is not possible to wire your device into an internet connection on-board. When you buy The Browse Package before you sail, you can save up to 15%* (please note this needs to be purchased no later than 72 hours prior to departure). You are able to purchase pre cruise on a single 24 hour period basis and as a full Cruise Plan. Multiple purchases of the single 24 hour option can be made should you require a shorter duration than your full cruise. Full Cruise Plan Browse Package - From £28 for a 3 day duration up to £246 for a 30 day duration. To purchase and to find out more, please visit our website for contact details. If you would prefer to use The Connect Package or The Works, these can be purchased on board your ship. Once on board, there are two ways to buy a satellite internet package. Open a browser on your device, log on to the ship’s Wi-Fi and type ‘login.com’ into your browser. Follow the on screen instructions and choose a daily or full Cruise Plan for your preferred package. Alternatively, pop along to the Library; a good option if you need a little help. If you are on a back to back cruise (two or more consecutive cruises) please note that the satellite internet service may be unavailable during turnaround days when the ships changes from one cruise to the next. Internet questions....... here are the answers! Being able to access the internet in the middle of the ocean is quite the technological accomplishment. However, due to the fact that the internet signal has to travel via satellites over 20,000 miles above the earth, service speeds are significantly impacted. Even the geographical location of your ship (mountainous landscapes in particular) and the weather can affect the on board service. To maximise your satellite internet service speeds, you will find the strongest Wi-Fi signal in public venues. You may also find that off peak periods - early morning, late evening and port days - provide a better service. Access to email services are available though both The Works and The Browse satellite internet packages, available to purchase pre cruise and once on board. Should your email service provider have enhanced security processes in place such as validation of your account via text, an alternative email account or a series of pre-determined questions, please familiarise yourself with these before you board to ensure ease of access once at sea. The PC internet stations are open 24 hours a day. Assistance is available at various times throughout the day and evening. The charges on-board our ships are currently treated as inclusive of any VAT that is payable to the UK or other European Tax Authority. Most people find their mobiles work well at sea. 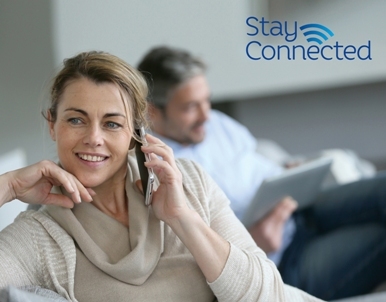 Signal strength can vary a bit, but you should be able to do all the usual things – make and receive calls, send text messages and photos. You will see Telenor Maritime or 90112 on your mobile’s display. This means you are using International Marine Roaming and the cost of making and receiving calls and texts will be added to your mobile bill, not your ship account. Your service provider should be able to give you a breakdown of all charges. Please note that charges for "pay as you go" can vary to those of contract phones on the same network. Due to the ship’s location, there may be occasions where your phone is unable to find a signal. We are happy to offer a full 3G service on board Britannia.